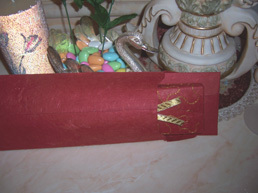 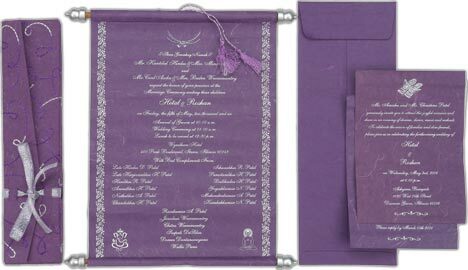 Have your invitation scroll and other components custom designed, hand-crafted and assembled by us. 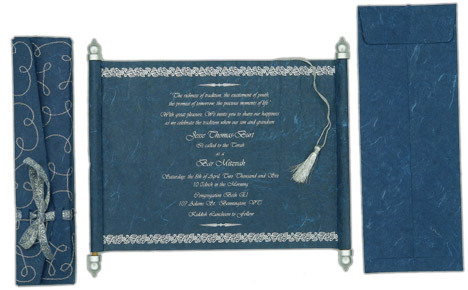 We use the finest papers and materials for our custom-designed scroll invitations. 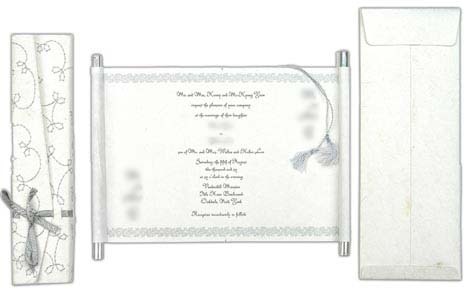 You send us your custom text to imprint on these cards. 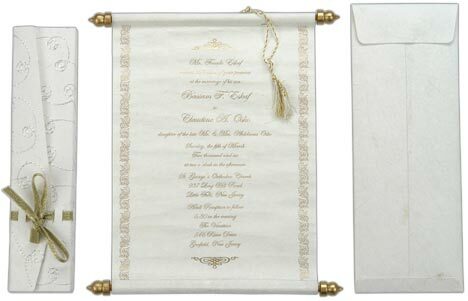 We use silk screen printing - so the quality is superb and compares to the most high-end printing shops in the world. 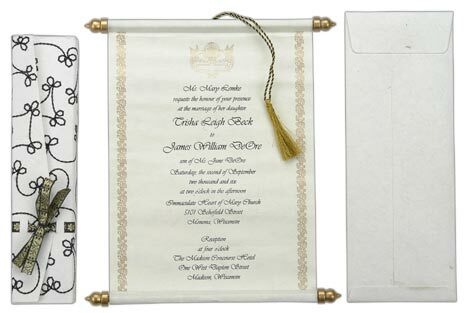 Bring the ancient practice of delivering messages in an elegant decorative scroll into a new age with these unique scroll invitations. 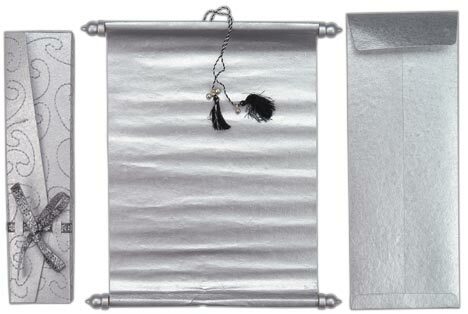 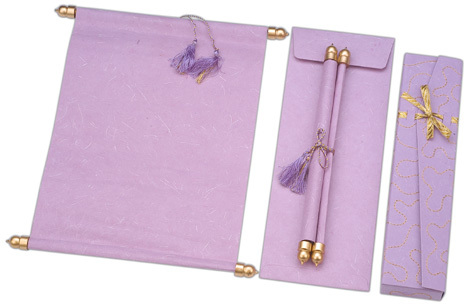 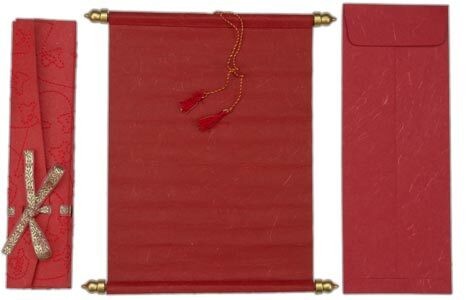 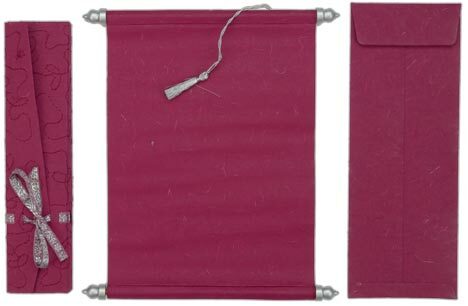 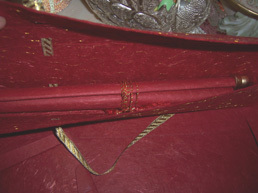 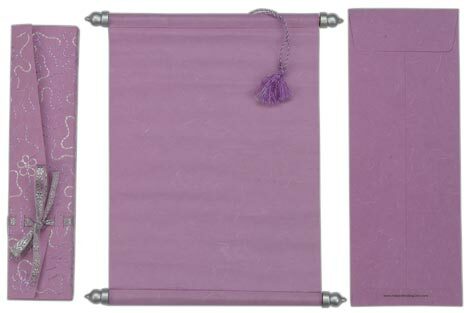 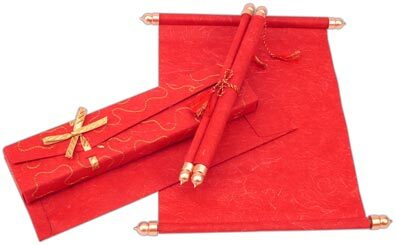 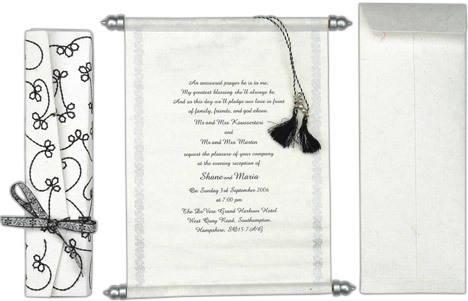 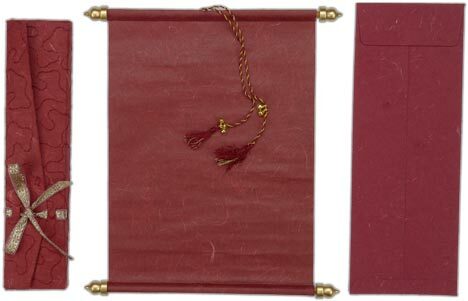 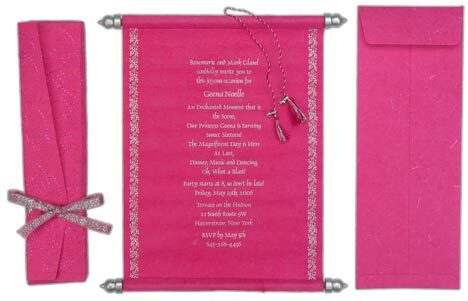 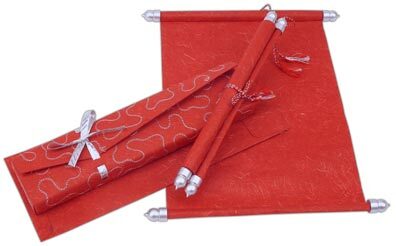 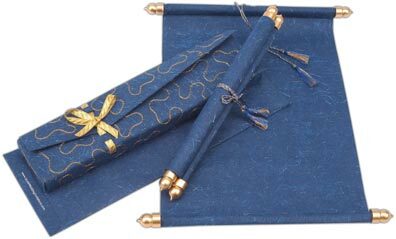 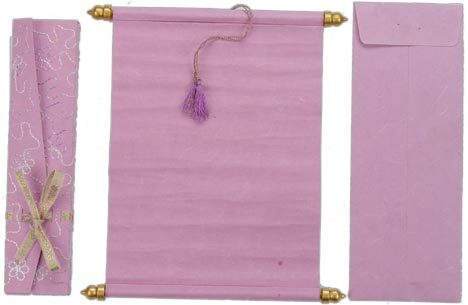 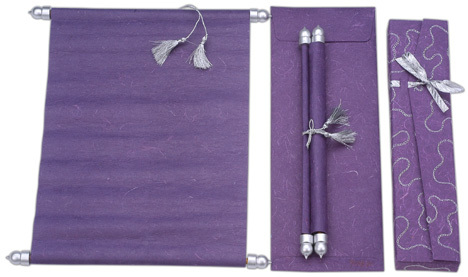 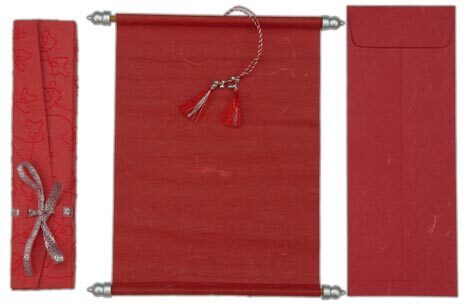 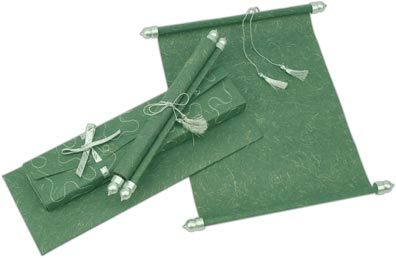 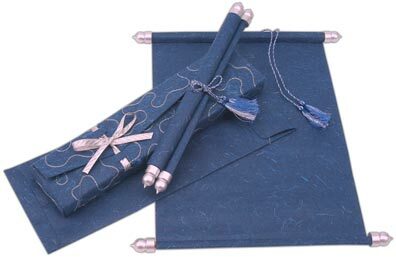 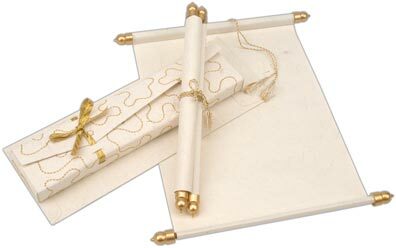 Each scroll is intricately designed, and your invitation is rolled up and tied with a tassel. 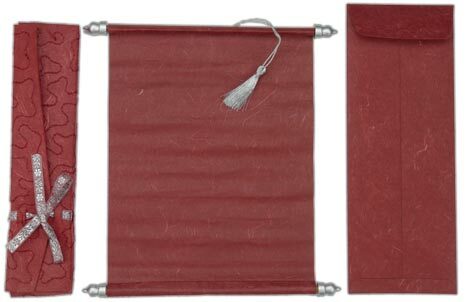 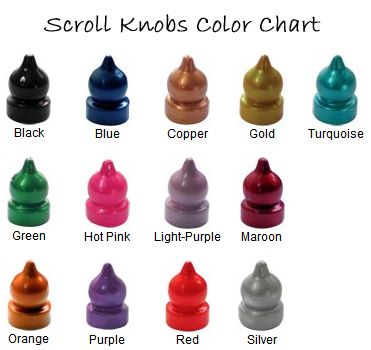 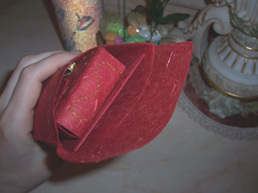 Each scroll card has a unique scroll box or container. 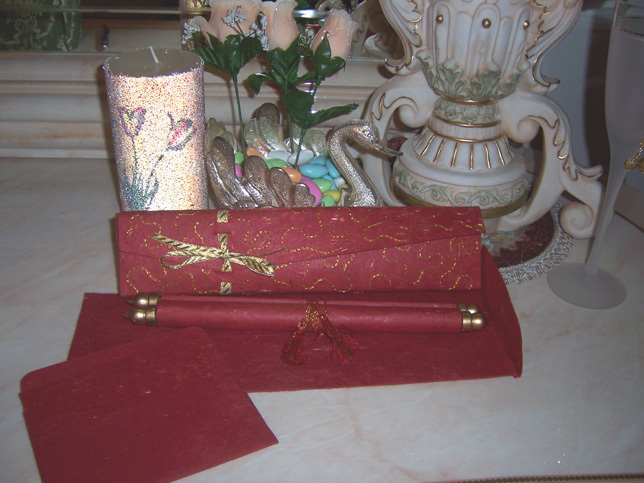 All our scrolls come with a separate mailer (envelope or mailer box) so that you can mail your scroll/scroll box along with any additional cards such as rsvps, direction cards, reception cards, etc without worrying about damaging your scroll. 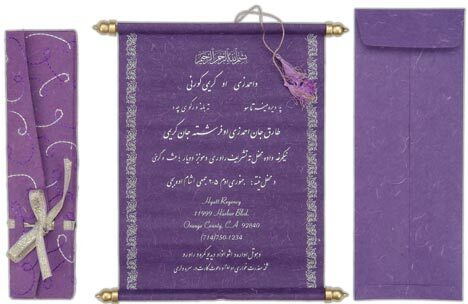 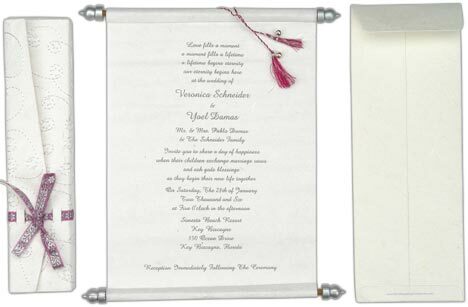 These scroll invitations are ideal for a variety of different theme weddings, including Asian, Medieval, Royal, Traditional, Princess themes and many other themes. 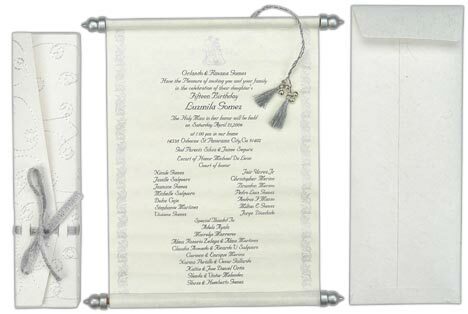 We will give you your very own personal PROOF to view the scroll design(s) we create for you.